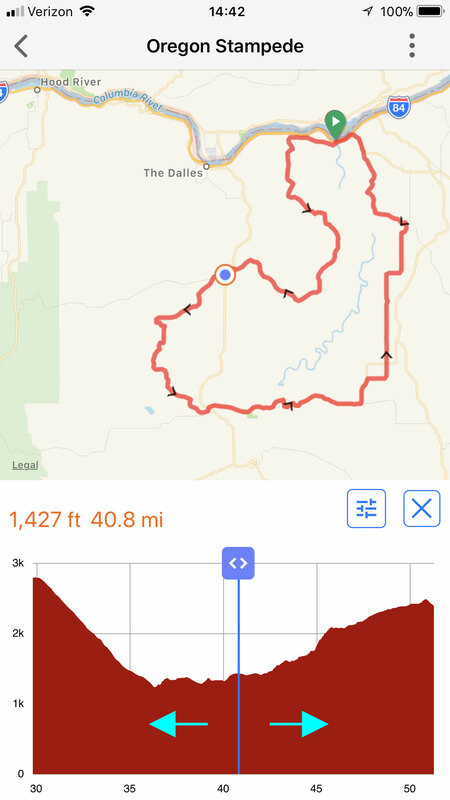 You can interact with the elevation profile in the mobile app on all your saved rides and routes. 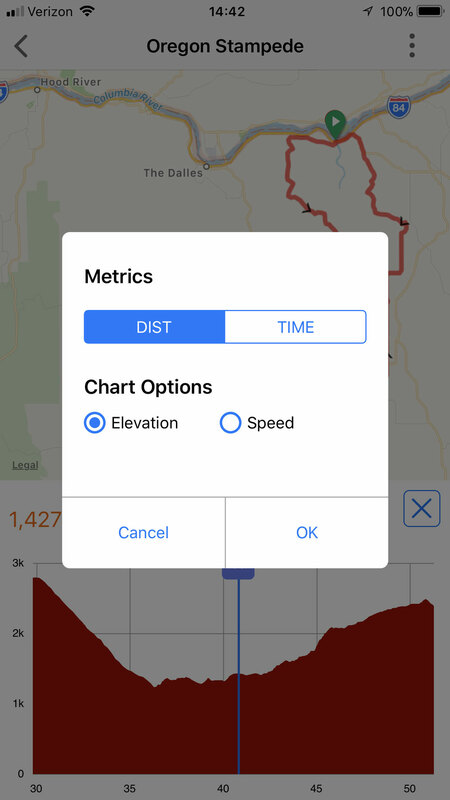 This will allow you to find the elevation for any particular spot along the elevation profile, the distance to that spot, and how your other recorded metrics apply to that spot when available. 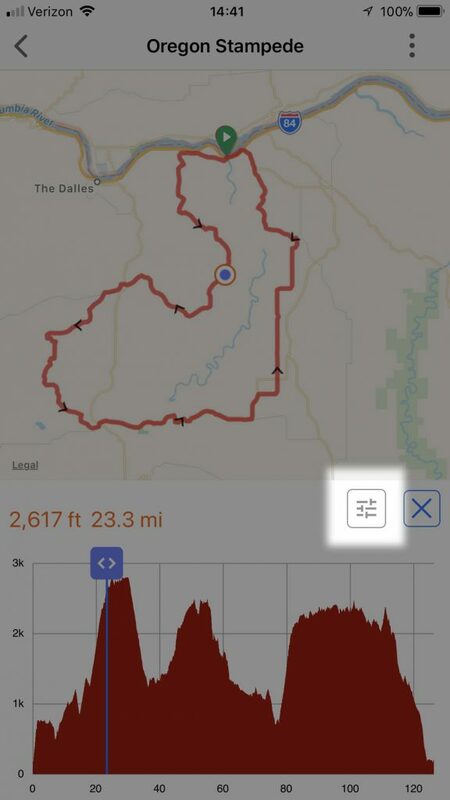 Swipe over to the elevation profile, tap the expand button to start interacting with the elevation profile. Tap it again to exit the interaction. Tap anywhere on the elevation profile to place the scrubber. You can now tap to place it elsewhere, to drag it left and right. Use two fingers to stretch the elevation profile to effectively zoom into it. Then use one finger on the graph itself to pan left and ride. Pinch the elevation graph to zoom it out again. 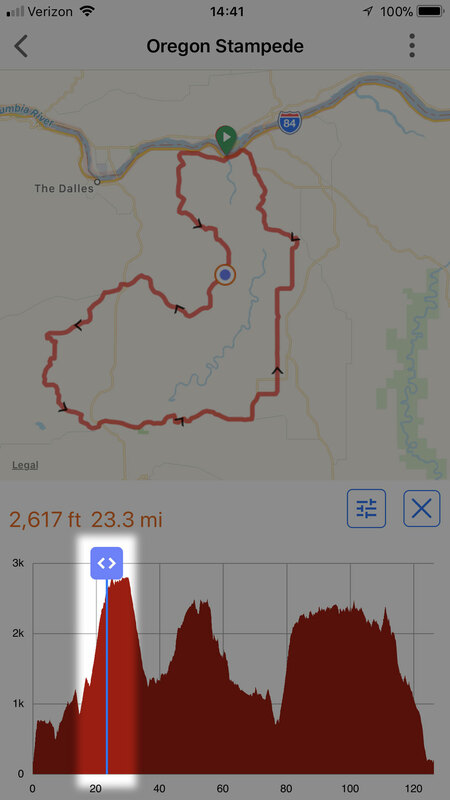 Stretching and pinching the elevation graph does not zoom in on the map, it is a separate interaction. Tap the tuner button to change what is displayed on the elevation graph. 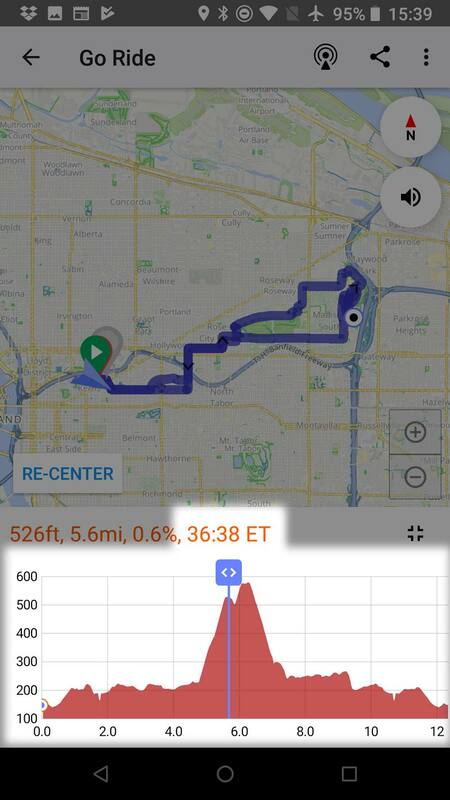 Routes will not have this option, only rides. View the X-axis as distance or time, and select which other metrics to show like speed, cadence, or HR where available. Available for Premium and Basic subscribers. 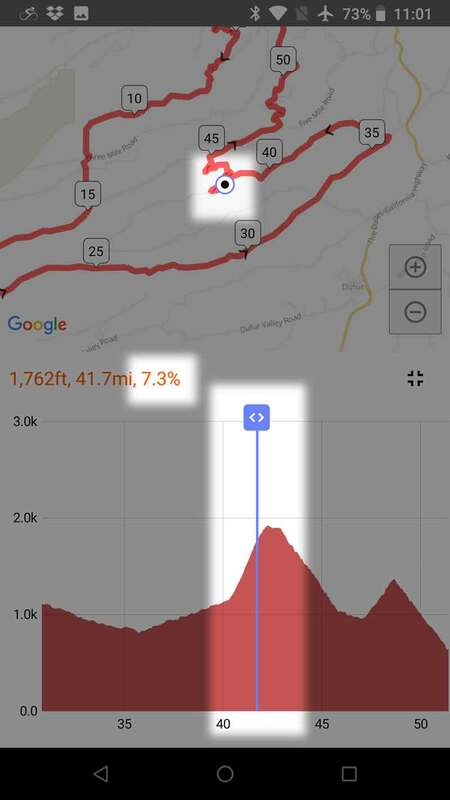 As you navigate a route, you can scrub the elevation profile to see your Estimated Time to any particular point along the route. This is great for helping you figure out how long it will take you to get to a particular peak. This Estimated Time is also adjusted on the fly according to your riding performance. Learn more about Estimated Time. As you place the scrubber on the elevation profile, you’ll see the calculated grade for that spot.